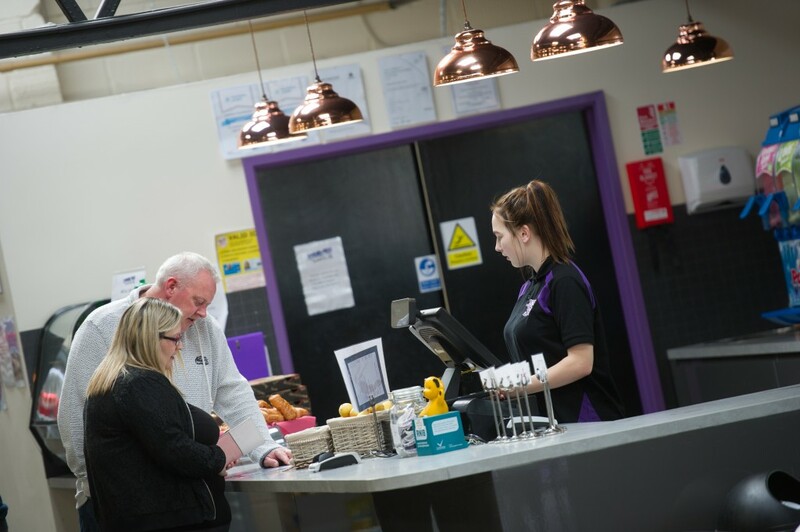 Whether it’s treating yourself to a freshly made latte, cooling down with an ice cold slush or enjoying one of our main meals, there’s something for every taste in our Mezzanine Café. Browse the web at your leisure whilst the kids burn off some energy by making the most of our complimentary Wifi. And if you have kids who are too young to enjoy our trampolines, we have a small soft play area on the mezzanine to keep them amused. For people looking for something a little less energetic . . . .
Or simply relax by watching events unfold on our 50″ TV.